If I switch my phone system to VOIP do I need to change my phone number? Yes. 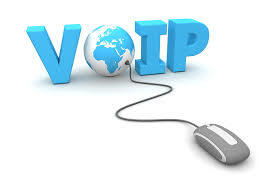 We will arrange to retain your current business phone numbers in the move to a new VoIP system. Will I still have the same call quality and reliability? Yes. we will manage your VoIP data and bandwidth to deliver call quality and reliability on par with traditional copper network calls. Can I add extra phone lines if I switch to VOIP? Yes. VoIP is scalable, which means you can easily add more lines as required. Are the call costs actually lower with VOIP? Yes – all national, mobile and international VoIP calls are billed at a much lower rate than copper cable telephone trunk line calls. It’s likely you will notice a big difference for your call costs when you receive your first VoIP bill. What are the top reasons I should invest in VOIP? A virtual PBX serves a similar function to a traditional PABX, but delivers and manages calls and call features though a web-based system hosted on an off-site server. The benefit of a virtual PBX is that it doesn’t require on site telephone hardware or parts. Can I use VoIP with a dial up internet connection? No, you will need a broadband internet connection to reap the benefits of VoIP. Is it simple for me to change my plan to VOIP? You can change your plan with ATS Telecoms once every billing cycle and the change will take effect immediately. Yes, you can use our services overseas. However, for security reasons, you need to let us know from which country you will be using the account before you leave, so please call or email us with your request well before departure. It usually takes at least 24 hours for us to activate the service and we will send you confirmation once it’s ready to go. We impose no additional cost for using services overseas. Please check with your data provider beforehand to ensure they will not charge you for using data offshore.